North Beacon Hill is, of course, the north end of the Beacon Hill community. It is well known for Jefferson Park, one of the city's larger green spaces, and for being the busier part of Beacon Hill. Plenty of restaurants, music venues, coffee shops, and small businesses exist here, as do smaller single family homes and condos for sale. The community as a whole was rated very walkable and commuting is convenient since North Beacon Hill sits south of the I-90/I-5 intersection. 5 Beds | 2.25 Baths | 2710 sq. Ft.
3 Beds | 2.25 Baths | 1640 sq. Ft.
3 Beds | 2 Baths | 1750 sq. Ft.
3 Beds | 1.75 Baths | 1295 sq. Ft.
2 Beds | 2 Baths | 1104 sq. Ft.
3 Beds | 3.25 Baths | 1500 sq. Ft.
3 Beds | 2.75 Baths | 1930 sq. Ft.
3 Beds | 2.5 Baths | 2486 sq. Ft.
3 Beds | 1 Baths | 2310 sq. Ft.
1 Beds | 1 Baths | 486 sq. Ft.
Blue Summit Realty has the most accurate and up to date N Beacon Hill real estate listings on the web. Currently there are 13 homes for sale, 3 condos for sale, and 3 vacant land properties in N Beacon Hill. Of the 19 total N Beacon Hill residential listings for sale 0 are bank owned, 0 are short sales, 0 are new construction, and 0 are townhomes. The price ranges from $299,950 to $0 with a median list price of $709,212 and median sold price of $608,177. Make sure to refine your N Beacon Hill real estate search by property type, price, square footage, bedrooms, bathrooms and more with the search tool above or view the N Beacon Hill listings on our interactive map. 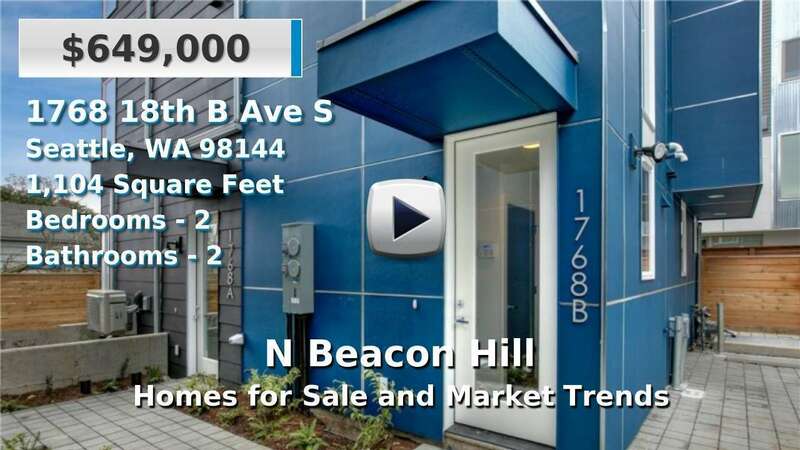 Our N Beacon Hill real estate listings were updated 6 minutes ago.